If you have a load of books or other knick-knacks that you want to hang but you don’t want to have a lot of shelves around your house, why not install these neat invisible shelves instead. These are very cool and the video tutorial tells you how to make them perfect for your home. Once you get them filled with books, it will actually look like the books are just floating on the wall. This is such a neat idea for a teenager’s bedroom or just anywhere that you may want to add a bit of drama to your wall. All of the supplies that you need are included in the video along with the instructions and this is an easy project that you can do in less than a day. 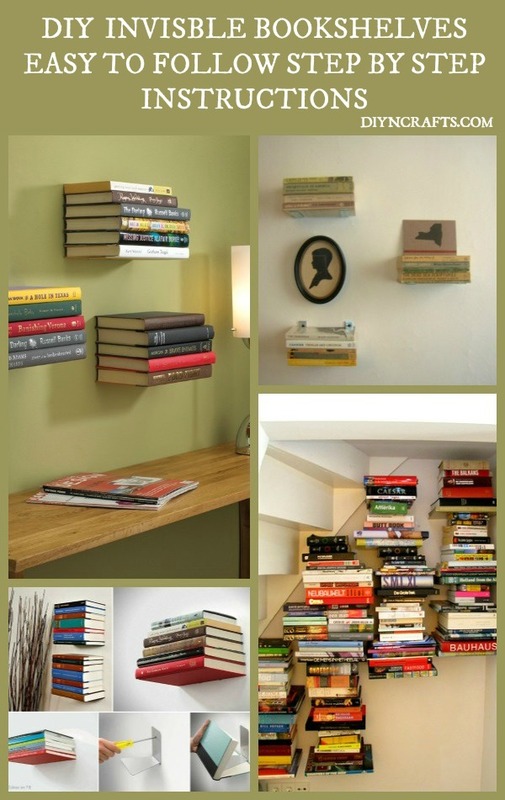 Turn your walls into somewhat of a conversation starter and add these shelves wherever you want those books to “float”. I’m a proud 44yr old single mom of 3, ages 16,17, & my life saving miracle son 1.5yr old. Having such a huge age gap, I’m desperate for help with organizing in a small apartment. I had forgotten how much space toys actually take up. I have extremely limited resources, so I’d love to attempt diy shelves, baskets, or cubbies or any other organizing ideas u can propose. You have inspired me. Im excited in hopes you will email me some instructions, “how tos” to stop the chaos, & clutter, to free me of this huge stress.